Evan Fogarty and his friend have set up an event towards raising money for Aware and are almost 40% of the way there in less than 3 days. 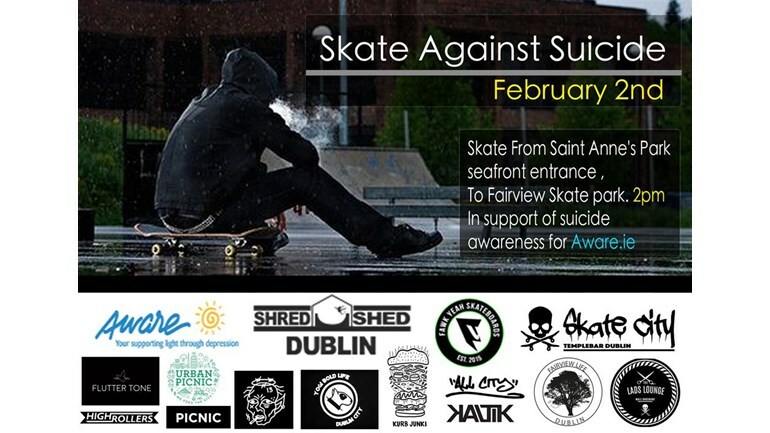 We are going to have 150 Skateboarders skate from St Anne’s Park to Fairview Park along the Clontarf sea front at the same time on the 2nd of February. It would mean a lot to us if you could share on to friends and family to help us get the idea out there. If you click the photo below you can do your part to donate or spread the word.